The library is an excellent resource for researchers interested in the 18th Century and specifically with the many subjects dear to Erasmus’s heart. It contains monographs, journals, theses, transcriptions of lectures and miscellaneous cuttings and photocopies. Erasmus played an active part in many fields – inventions, poetry, founder member and active participant of the Lunar Society, botanist, educator of young ladies – all this while carrying out his role as physician to rich and poor alike. All these areas are represented by works in the library, which benefits from donations from Erasmus enthusiasts as well as long-term loans from English Heritage, the late Denis Gibbs Founder Member and the estate of the late Erasmus Darwin Barlow (1915-2005), great-great-great grandson of Erasmus. A particular highlight is Erasmus’s journal or notebook, the “Commonplace Book”: the original copy, on loan from English Heritage, is on display in the House, alongside a transcription. 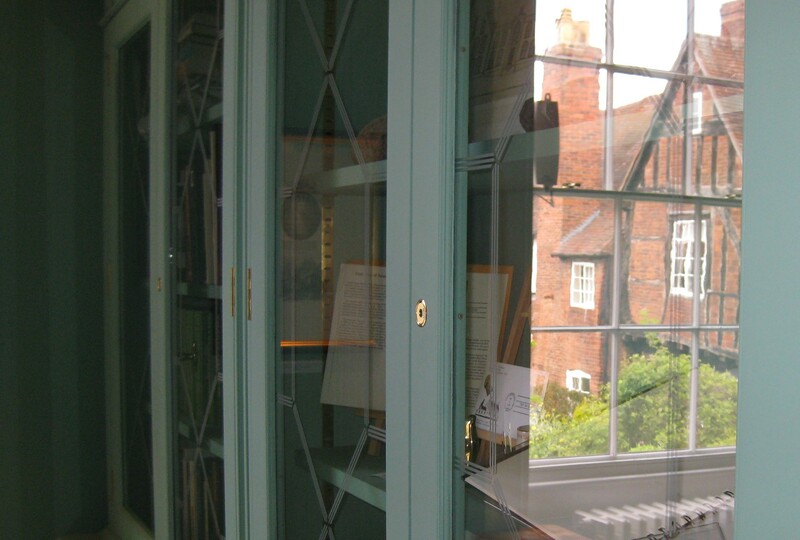 In 2016 a limited edition of the book was published with the transcription and presented to the Library by the Friends of Erasmus Darwin House. The library at Erasmus Darwin House initally received a loan of books on evolution from the estate of the late Erasmus Darwin Barlow (1915-2005), Erasmus Darwin’s great-great-great grandson. 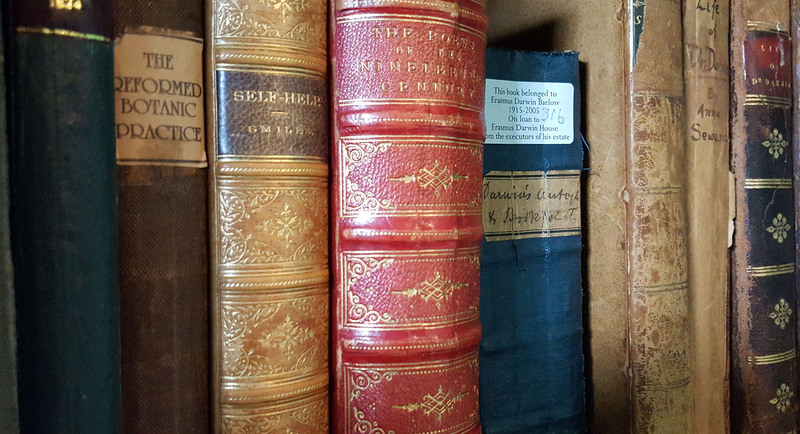 Included are early editions of works by Erasmus and Charles Darwin as well as biographical writings that have been passed down through the family. The library items can be accessed for research by appointment only.